Yesbank launched its credit card product to public by August 2016. Ever since it’s launched, it has gained a good traction, mainly because their rewards and features are in par with the industry’s demand. Their premium and super premium products meets the requirements of the segment and is infact better than many others in some aspects. 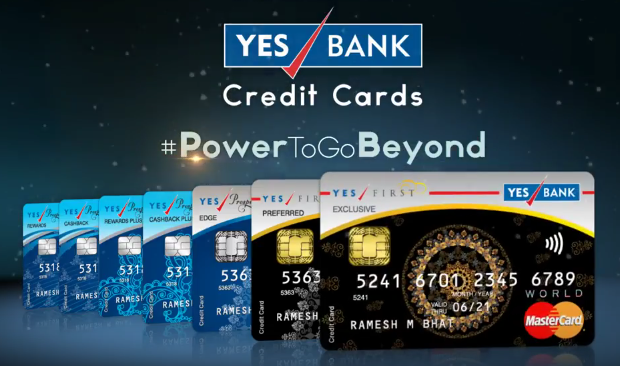 Why Yesbank Credit Cards ? Low interest rates: Their interest rates on EMI is as good as 12% and they even ran the industry lowest 9.9% EMI on a credit card for the first time during 2018 Diwali. Good Reward Rate: All Yesbank Credit cards are designed well to give competitive rewards compared to most other players in the industry. If you consider the 2X/3X offers, you can save upto 7.5% in value which is a remarkable number. Redemption options: You can redeem your points for flights, hotels, etc. You can also redeem the points for vouchers like Genesis/Pantaloons/Titan/Taj etc. This literally allows you to buy almost anything in retail outlets. Business Credit Cards: Yesbank has also launched a set of credit cards targeting businesses/self-employed entrepreneurs. These are more rewarding in some aspects. They’ve also launched Corporate cards which are OKAY in my perspective. That makes up for a complete end to end credit card solution to cater any individual based on their profile. Yesbank Credit Card portfolio is as good as India’s #1 card issuer (HDFC BANK). Yes, because Yesbank credit cards are made by the makers of HDFC bank credit cards themselves. YES Bank roped in 10+ senior bankers from HDFC Bank including Pralay Mondal who’s now Senior Group President, Retail and Business – YesBank and lot many under him to take care of the credit card business. With him, he brings the entire data/stats with more refined strategy for even faster growth than HDFC. If they can do the right marketing (as they already are), they have great chance to compete with HDFC Bank in long run. They’re determined to hit #3 spot in credit cards by 2020. ICICI is currently holding #3 position with one of the worst rewarding system. Hence this target is very much attainable as the competition in that range is so weak in their portfolio. They took more than 3 days to reply to my emails. Though, their phone support is able to answer better – but somehow they’re not polite. They’re not able to fix and do things instantly as American Express does. However, they hear to what we say and they seem to have good knowledge with popular queries. Escalations: I made 2 escalations through social media and i had outstanding experience. My First escalation was done last year during the launch of their credit cards as i wasn’t able to apply. I got a call back not from the senior customer care guy, but straight from the top management. Second escalation was done last month as i wasn’t eligible for 100,000 Reward Points Promo and now again received the call from the person who works closely in running that offer. What i understand from these is that they’re constantly taking feedback’s at top level and sure they’ll do much better to the industry at its current pace. Below are the areas that yesbank can improve their services – the most important are on the top. The Netbanking Experience: Their net-banking login interface has a decade old design. You end up with having 4 or 5 options to manage your credit card. While the options are very much functional, the industry need more info, better design. Need mobile banking support for monitoring the credit card on the go. Customer Service: Quick credit card application processing, better customer support with instant solution (like amex) can help a lot. I can say they’re better than HDFC (non-premium cards support) & SBI, but can do better. Credit card loans: They’ve started paying attention here. Infact they recently launched the industry first & lowest EMI rate of interest, as low as 9.9% during diwali season. Promote offers: They’re pretty good in recent times, yet wish they add birthday offers too. Yesbank’s credit card portfolio with competitive rewards & offers shows clearly the knowledge the bank has about the industry. Though they’re very new to the space, they’re very well meeting the demands of not only the normal credit card user, but also premium and super premium credit card users. Overall, I’m very much happy with My Yes First Preferred Credit Card and their services so far. Do you have any Yesbank Credit Card and how’s your experience? Feel free to share your thoughts in comments below. Yes bank credit card are good. I had issues with them while on boarding the platform. But the reward rates are good. Great cards. If they want number 3 position than they should cater to small towns like Siliguri ( W.B. ) as soon as possible. Waiting eagerly. That’s also true. Their branches itself is less. They may expand them hand in hand, hopefully. Hi Sid, great article. With 2.7 L limit on my Regalia first, can I get Yes First Exclusive or Preferred on card to card basis? You may get Preferred. They need 3L+ but 2.7L may help. Talk to their sales guys or visit branch. Difficult to get Yes Preferred card with this limit. If you want this card by any means, better open Yes First saving account and maintain 8 lac+ for 3-6 months. You will mostly get pre approved card offer by email. As per my mother’s Yes RM, Preferred required at least 3L limit on existing card for card-on-card. 5L would almost guarantee it. How much limit does it requires for Yes Prosperity Credit Cards? My application for the preferred card has rejected at the branch level only. Applied card on card basis against my Diners premium with Rs. 2,73,000 limit. They do require 3 lack limit, they were not considering the few thousands shortfall. I requested them to forward the application to their chennai central office to finalise the eligibility, but they are not doing. It’s foolish to ask a premium user to settle down with a base level card with low reward rate. Their processing system is defective and still at premature level. 7. A number of times, offers are not known by customers and when one tries to get information via telephone help line the only answer one get is website link! We thank you for your continued patronage. We would like to draw your attention to the outstanding due on your YES BANK Credit Card ending ****, for which we have not received payment against the last statement. If you have recently made payment towards the said Credit Card Account, we thank you for the same and request you to kindly ignore this communication. Our Customer Service executive (engaged through an authorized partner) will be contacting you shortly regarding the same. Thanks for sharing your experience. Agree to all. Yes, their NEFT reflects late but i’m sure they’ll optimize it like SBI recently did. I once showed the packaging to my colleague and he was like, if the package is so good, the card is got to be awesome. The moment he saw the card, he was like- Yesbank should rather advertise their Packaging than their card. This will draw more crowd!!! Awesome article!! Very Nice info gathered in a single blog. Kudos for your efforts. Upon reading ur blog, I hv applied for yes first preferred and SBI prime… Thank you!! n happy earnings…!! I have Yes Preferred since April. When I applied in first week of april, they told me that had recently stopped ( on 31st March) giving Yes Exclusive on Card on Card basis.. However with Yes Preferred, I have had a good experience till now. Credit Limit they gave is low( just 60 % of HDFC Regalia) but thats ok.. Hoping for an upgrade to Yes Exclusive. They’re still giving Exclusive – Card on Card but with 8L limit on existing card. Is it lifetime free for card on card basis? Or does the annual fee still apply? Its LTF with no charges. Sometimes only first year fee is waived. Changes from time to time. I received calls from Yes Bank n Standard chartered as usual asking me to apply for their cards. To my Surprise, after they asked about the various cards i have ( Citi, Amex, HDFC, SBI), Both the managers were hell bent on getting the Citibank Card Statement for Card on Card basis. The point to note is, my Citibank Credit card has the Lowest Credit Limit among all my cards. When i asked why they want Citibank Statement particularly, while my limit is 3 times more in some of my other cards, both of them said that the Rate of approval for a new card for Citibank card holders is the Highest since Citibank is very Strict in Approving Cards for New customers. They also said that Card on Card basis approval with Citibank credit card comes Totally Within their Control. The Other Surprise is, Both the Bank Personal Did Not want to Go through with SBI card statement for Card on card application. This info is completely new to me and felt like sharing it here. So my advice is to try and increase Citibank Credit limit as much as possible and use it for Card on Card applications. Thanks for sharing your experience Vinod. It sure helps to connect the dots. It seems to be quite true, though its very easy to get Citibank card for corporate employees – if you have a Citi salary A/c with them. As far as Limit is concerned, its bit strange to hear as some of my friends are having a very good limit with just 1Yr of usage. Infact they have the highest limits only on Citi cards. Regarding the credit limit of Citibank. Citibank offers two options every 6 months either to Increase the credit limit, or to get a Loan Over and Above your credit limit. If you have taken the Loan, you cannot get a limit increase for the next six months. I have taken the loan once and the next time i have opted for limit enhancement (50% above my initial limit). Here after i ll be wary to choose the Limit Enhancement option. I can absolutely vouch for this, to be honest, it took me 3 attempts to get approved for Citi bank Credit card back then. Nevertheless after a lot of bumps, I did get approve for the card. And I’m happy that Citibank is slowly but constantly improving my credit limit even though I seldom use that card. I have much better cards to make my spends now. I recently applied for another credit card. The thing that took me by surprise was that even though I wrote that I have an HDFC credit card with a higher credit limit, the bank executive didn’t blink, but th mom nt I wrote about existing Citibank Credit Card, she was taken aback and asked enthusiastically if I have a Citibank Credit card and she wanted to know the limit on that card particularly. This shows the respect that the banking industry has for Citibank Cards. I just smiled softly. Little did I understand why that time. is an iOS app available for Credit Card only account of Yes Bank ? There should be online way to get Add on cards. It seems we have to send physical form for add on cards. Also got to know today that if add-on card holder is residing in a city which Yes Bank does not have in their list. He won’t get add-on card. Sounds weird as it will limit their own card usage. After getting this info, I received the call from YesBank again on next day. You can get the add-on card ever if holder is not residing in a city which YesBank has in their list. However card will be delivered to your address only. I applied yes cc on 23rd Aug. Still did not get it. They take lot of time to process. someone came 4days back to visit office …but it was a holiday..
after that just no response..
Can u explain how 7.5% reward rate in accelerated category. Tried finding out … But couldn’t find any thing. Now one can use yes bank cc on samsung pay. Just hlfot an email with the offer. Though i have iphone. a.INR 750 cashback on completing minimum 5 POS transactions of INR 500 each or above during the offer period on Samsung Pay using YES BANK Credit Cards. b. INR 750 cashback on completing 10 POS transactions of INR 500 each or above during the offer period on Samsung Pay using YES BANK Credit Cards. Hi. You have written a very well research post. Really awesome! 1. My ITR is 7.3 Lac (Gross). I called them and they said me that because I don’t have office or I work from home they can’t provide me the card. I don’t hold savings account with them. So @Siddharth, If you could suggest me the best way to have Credit Card from Yes Bank? Let me know the best way to approach them and what should I do to have maximum surety of having card approval from them. Any credit card issuer needs a separate work location. Why do they need that if the person is having good ITR and can pay his card bills and good cibil? Just one way of reducing the risk for banks. Best way is existing card with more tha 3L limit. Sid, did you finally managed to get into the 100000 points promo after escalation? So for Yes Bank card I have to had a Citibank Credit card? Is it? I applied back in 2013 and it was rejected as I had defaulted my education loan back in 2012. So after five years, when my Experion score is 887 – will they approve it? And which card should I apply? It is not that you MUST have a Citibank credit card for getting a Yesbank Card. It is just that the rate of approval is very high for Card on Card basis applications based on a Citi Card. Regarding your second question, 887 is an Extremely High score for a Credit card. Depending upon your salary, you may go ahead and apply for it and the chamces of getting the card with that Score is very high. It would be an added advantage if you are already holding a credit card and servicing it properly. Banks usually dont look beyond 3 years of Credit History unless you are a Willful Defaulter or your account has been classified as NPA. Experian score is awfully inflated because nobody makes enquiries on those. From 2010 to today, I have had 0 hard pulls on it. Check your CIBIL score, they too give one score free per calendar year. Hell, some banks don’t even report to Experian and Highmark. I want to apply for yes bank or Amex credit card but there is issue of address. My office is in kerala and most cqrd companies dont service that place. My home address is of Jaipur. I want to know whether yes bank or amex approve my card if i apply it from Jaipur, given my office is in kerala. I am in central government job with good take home salary and credit rating. Hi Rex. In case of Amex, Your case is Similar to me. My place of occupation is a Village in Tamilnadu. But since i have been staying in Chennai for some time, i agreed to apply for Amex card. I didn’t even have an Address proof in Chennai. It is just that they need a Working Landline number in the serviceable area from where you are applying. Your Income must be more than 6 lakhs. You must be holding Atleast 1 Credit card which is more than 1 year old with proper repayment. They dont even ask for the entire ITR copy . Just your CPC Acknowledgement copy (1st page of ITR) is enough. Infact now i hold 2 Amex cards. Infact my Place of occupation is not serviceable by any of the Credit Card Companies. Hello Mr. Vinod Kannan. i have Citi Bank account in New Delhi but i am working in Dehradun. I have other credit card and income more than 12 lakhs per annum. Can i Get Amex card? Yes you can get it if they are sourcing Amex Cards in Dehradun. If your native is in Delhi, you can apply from Delhi too. Citibank Account has nothing to do with Amex cards. If your income is more than 12 lakhs and if you are not an Amex card member presently or in the Past, You can apply for a Lifetime Free Membership Rewards Credit Card from Amex. Pls help. How to get it? I want to apply for yes first preferred credit card,I want some advice,currently I have kotak league platinum card with 57k limit and hdfc business money back with 40k limit,will opening an normal saving account with yes bank and than applying for it,will i get the approval,there are many types of saving account which one would you suggest,There are many credit cards of yes bank but I found exclusive and preferred best because there interest rate is extremely low other are at high interest rates,if i got the yes rewards plus credit card will it upgrade able to preferred. Your chances of getting yes first preferred card are next to nil. You must have income more than 15lakh per annum to apply directly. Card on card basis you need 3 lakh credit limit. You should talk to RM and find out more. Go for yes prosperity edge card and letter request upgrade to yes first card. 4) Card on card basis – 3L limit for 6 months. Are you saying, any of these criteria can be used to get a LTF Yes First Preferred Credit Card? Just got another offer on my Yes First Preferred Credit Card – 2x reward points for online spends between 11 Sep and 20 Sep. Yes First Preferred Approved for me. 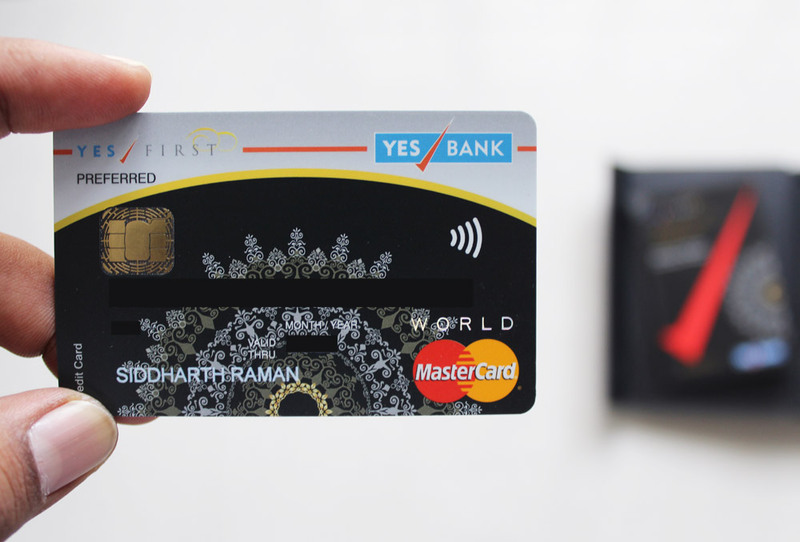 Card on Card basis against Hdfc Regalia 5.1L limit. 1. Communication from Yes is pathetic… Did not got any SMS / mail on Approval or any other phases of approval phase… Remembered getting SMS from Citi when I had applied last year. 2. PlVerification is very strict….. And if by chance missed like u r on out of town, it takes 8-10days to get him back that too after numerous complaints ..
How much credit limits given by Yes bank Card on Card basis ? I was asked to open a Yes Bank Zero Bal. account with LTF Credit card…. Now that my Card is approved ( & will be delivered in next 2-3days) , will the Bank ask to open a Savings Account now ?? How did the process go for others who were asked to open a Savings account along with LTF cards?? how to add/delete billers for Standing Instruction for Yesbank Credit card ?? I believe there is offer of 1000Points on each Standing instruction.. Yes Bank UI is too outdated.. Call to the Customer Care. For me they missed to make the first month payment after Standing Instructions was enabled. Their UI is the worst in the recent times not only interms of the look and feel but their reliability also very bad. For me they showed available credit limit as 15000 and I made transaction worth 9000, I got an sms saying that I exceeded my credit limit. When I called to customer care, they accepted issue in Web UI but they will still charge for exceeding the credit limit. Fill it and send it to the address mentioned in the form. They’ll process it in a week’s time and you will get a confirmation SMS. I got it done this month and also got the first SI executed this week. Unfortunately, every process is offline with YES Bank. Hopefully, they’ll make the processes online in the future. Had a word with customer service of yes credit card to check the 1000 reward points on standing instructions. Was actually shocked to hear from him that, 1000 reward poits will be given on standing instruction but if you at any point of time in future remove the SI, 1000 points will be revoked. “revoked in future” means Eternity or maybe some timeline of 3-6mths ?? Need to check with CC for this. on 19th of September, Yes bank in a press release said that they will be offering life time free business credit cards to all chartered accountants. So, all CAs please take maximum benefit out of it. I fail to understand why credit cards are offered LTF to CA and doctors (sometimes teachers too) by so many banks…. Why others are being treated as underprivileged!! And it is not that CA/Dr/Teachers cannot afford the fees like others ….. Anyone has a logic to this holier than thou treatment? Doctors – They spend a LOT. All my Doc friends spend atleast 50% or more of their salary, every month. Not sure if everyone does, but its the stats i see from 5+ of my docs friends. Cards/ac talks are common with CA’s and clients and most ppl rely on them as CA’s are seen as accounting experts. That’s just my way of seeing. Maybe for other diff. reasons too. Yes bank credit customer care never respond to mails. Who to escalate as they didnt respond even after 2 weeks? Reach them on social media. They responded to my Query in 15days time… Phew! Better to connect on Call! I have raised a query its been 1 month and no proper reply. Better to call then mail. They have finally added credit cards to their mobile app. All the options available on the web are accessible on the app now. Summary, statements, transactions, payments, rewards redemption etc. I tried applying Yes first exclusive under ltf offer , I meet their eligibility requirements, but was denied. I believe it might be because my company was not listed on their website, can any body confirm? What are the documents required for Card on Card basis for Yes First Preferred Credit Card ? Identify and address proof, front side photocopy of existing card and last month statement of the card. The latest card statement on the basis card us applied, photo and address proof . I once applied for yes bank ltf credit card but was denied because my city does not come in their list. Can I get yes bank ltf credit card on card to card basis? I am using axis(3 year), SBI (3 year, recently I got a call to upgrade it to SBI prime or SBI air India platinum), Citi(2 years, was the easiest card to get with the maximum limit, which I got reduced gradually), amex and IDBI rupay (last 6 months). Note:- I was denied HDFC regalia or HDFC diners premium 6 months ago,as I was not eligible for that according to them, instead they provided me diners international which I surrendered in the first week itself as it doesn’t contain lounge access anymore. Maybe time for YESbank FD based card. But most of the FD based cards don’t have free lounge access, my target is to have atleast domestic lounge access facility in all my credit card in my wallet. I am trying hard towards that, just upgraded to axis my zone from axis my choice. Moreover, I want a ltf card on card basis, not using ITR, which is at current of gross seven lacs, with a cibil score of 755 as of now. FD Based YF preferred will give both Domestic & intl lounge access. Even SBI prime would do for that matter. But LTF tough though. I have SBI prime and HDFC regalia with limit 1.4lac. what is best counter card in Yes bank folio. My sal is around 50k. You might need to start with prosperity cards and should be able to upgrade to preferred in sometime. Can you tell me the procedure to apply for Yes bank credit card up-gradation? How does the above 3 cards fare in terms of cashback and other offers. You suggested Regalia first in terms of lounge access only? HDFC and Yes cards doesnt have any fixed offers except for partner sites., they run targeted offers or bonus RP offers from time to time. as long as i know there isn’t any cashback offers on anyone of them. for cashback offers, you can go with cashback cards. in terms of earning reward points, MRCC is good.. you can get bonus 1000 RP every month for using card 4 times a month. Then later you can redeem RP for statement credit. During festive seasons Amex also run very good offers. but for this card you will have to pay heavy annual fee. If this is your first card, you simply won’t get any Amex card. Yes Prosperity is fine but most Yes offers are spend based and you say you don’t spend much. Stick to Regalia First among the choices you have mentioned. It’s a decent card to start with. All the 3 cards are quite different. Go with both regalia and yes prosperity. For Mrcc you need a different strategy check out the articles here. I have HDFC Regalia and SBI Prime. I salary is around 50k. I don’t do lot of travel. Which is counter card for SBI Prime/HDFC F Regalia? I casually applied it as card on card basis on my AMEX MRCC card having limit of 1.8L and is issued in september 2017. Generally, the bank guys does not even bother to apply with these credentials (what i gave), but the CC guy in the branch was kind enough to casually apply it with my last month statement only. To my surprise , They approved my Yes First Exclusive card yesterday. yesterday, was not sure of the limit but today, when i saw the limit in the card (when i see the card being enabled in my netbanking) they gave me 3L limit. I am just having a Yes first account with them which was opened in September. I am still surprised. 3L is a very handsome limit. Very few readers got that high a limit. Your savings account would have helped and probably a hefty salary as well. I would like to apply for YFE on ITR basis . I have just one other credit card and my credit score is 786. How should I go about applying for this please? Just online sufficient or do I need to make a phone call too? If your income is above 50L, automatically online system will accept the request. Else Visit the nearest branch with ITR you have. They will check and let you know. Is there any way to check reward points history for yes bank credit cards? I have yes prosperity edge. The only problem I had faced with YES Bank Credit card is, they need a hell lot of documents and form filling. Also, the guy who came for document collection, informed me that there are too many rejections by Yes Bank. Not sure if that is the case. I have applied three times for Yes bank credit card (Mar 2017, Sep 2017 and Mar 2018 – at an interval of 6 months each). All the time, applications have been rejected. Even I am having a Cibil score of 806, two other bank credit cards and having net-salary higher than minimum required by them. They are not disclosing any reason for rejection. Can anyone recommend how to apply next time or how to get to know the reason for rejection? Was it applied card-on-card with 3L+ limit? If it was applied based on ITR, it needs to be very high for YF cards. You can escalate it via nodal officers or through the person who took the application. Through what mode are you applying? I had applied for YesBank credit card and was assured by their backend team that I will be given Prosperity Edge credit card, however I received Prosperity Rewards Plus, which is a basic card with too low credit limit, nearly useless for me. I feel its cheating, I know my CIBIL is good I have a good salary and a good limit on my DinersClub card. Raise the concern on their facebook page. Someone will surely contact you. I had already raised but with no luck, I tried contacting the credit card division and they told me that they received the file for Rewards Plus and not Prosperity Edge and now nothing can be done as there is no upgrade offer presently available. I just kept this card for the sake of using it for their 50% off on weekend movie tickets in Cinépolis. Ultimately i applied on my name on card on card basis and got the preferred card. So now i have prosperity edge and preferred card. You need Rs.3L limit for Yes prefered card. Opening Yes First account might help. Can you help me on what’s the difference for YES FIRST CARDS and YES INDIVIDUAL CARDS.